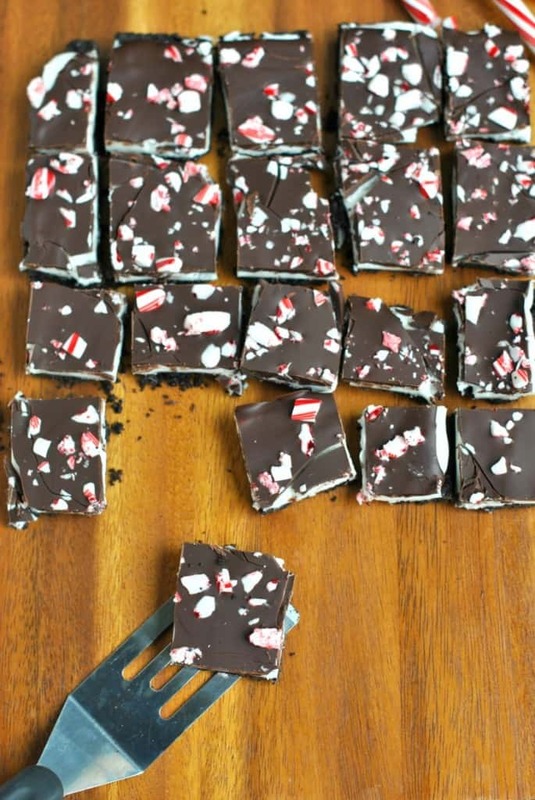 Delicious, easy Peppermint Cream Bites, just in time for the holidays!! It’s like combining a Peppermint Patty with an Oreo cookie! I hope you don’t mind, but I think it’s time to dive deep into the holiday desserts. Who’s with me? I’m pretty sure if I tell you that today’s recipe is one of my FAVORITE holiday desserts so far this season, you might be interested? Or would you raise your eyebrows and say, “she always says it’s her favorite!”? What if I told you the taste is so amazing, it’s like combining an Oreo Cookie with a Peppermint Patty. Does that make you more intrigued? And that it’s easy to make!! Still looking for the recipe? Preheat oven to 350 degrees F. Line an 8x8x2-inch baking pan with foil, extending foil over edges of pan; set aside. In a medium bowl combine crushed cookies and melted butter. Press mixture into the bottom of prepared pan. Bake for 8 minutes. Cool slightly in pan on a wire rack. In a medium microwave-safe bowl combine chopped chocolate and shortening. Microwave on 100 percent power (high) about 1 minute or until chocolate is melted, stirring once. Let chocolate cool for 15 minutes. Pour chocolate over peppermint layer, spreading evenly. 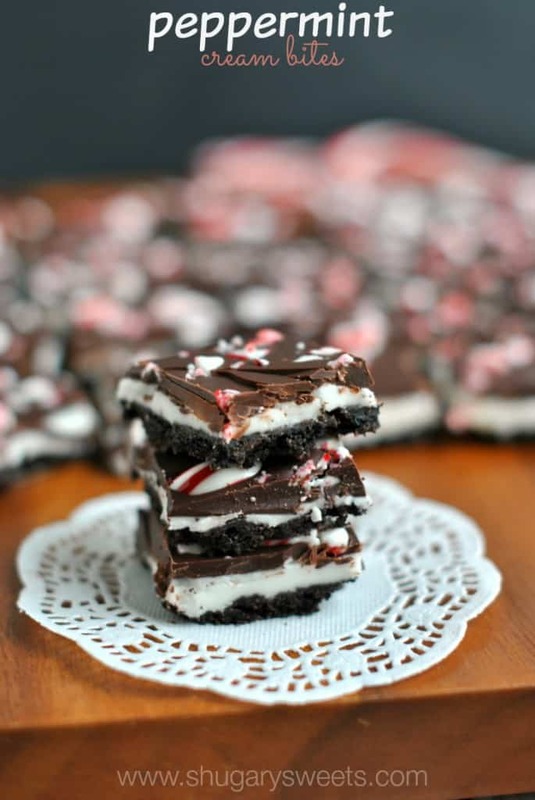 Sprinkle immediately with crushed candy canes. Using the edges of the foil, lift uncut bars out of pan. Use a 1-1/2-inch round cookie cutter to cut into rounds* or use a sharp knife to cut into squares. Store in the freezer until serving time. Aimee, I really hope you win. Along with all the other awesome bloggers. Wait, that’s not possible? It should be. But in your case especially, because I’ve been reading your blog forever and I love your recipes! This is SO GOOD. 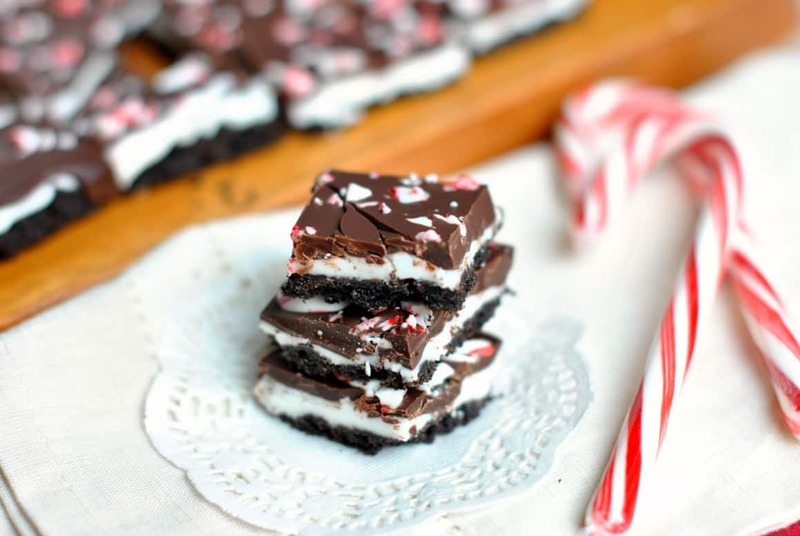 Peppermint patties are already superstars in their own right, so adding an oreo crust to the mix… you win the internet. YEEESSSS…I win the internet!!! Wait. I don’t want it. LOL!!!! 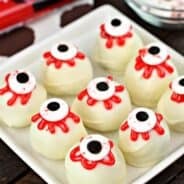 I am dying to make these! Of course then I will have to slap my hands to keep from eating them all. They look fantabulous! I wish you (and Katrina) the best of luck! 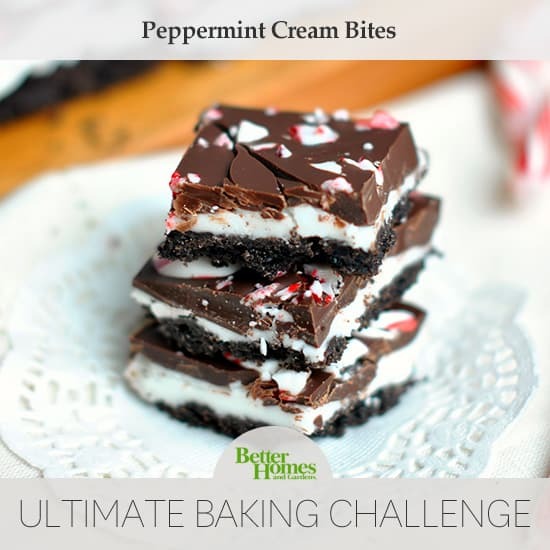 Eek 🙂 This looks so good and I just made my first mint recipe of the season over the weekend! 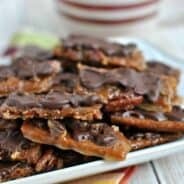 Pinned and love all the layers of goodness! I think I need to go make this right now, looks amazing!!! Good luck! 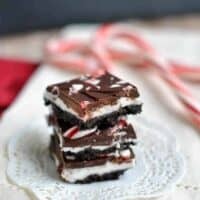 Peppermint and chocolate:) I love this combination. Delicious! Those bars look SO good Aimee – I’m totally hoping you win! It’s definitely not to early to start the festoive recipes and yes….I am drooling…lol. I’ve been loving this slew of sweets you’ve been posting the last few days! Absolutely divine!! The snow is already here, so I might as well get into the holiday spirit. What better place to start than with these? Gorgeous! 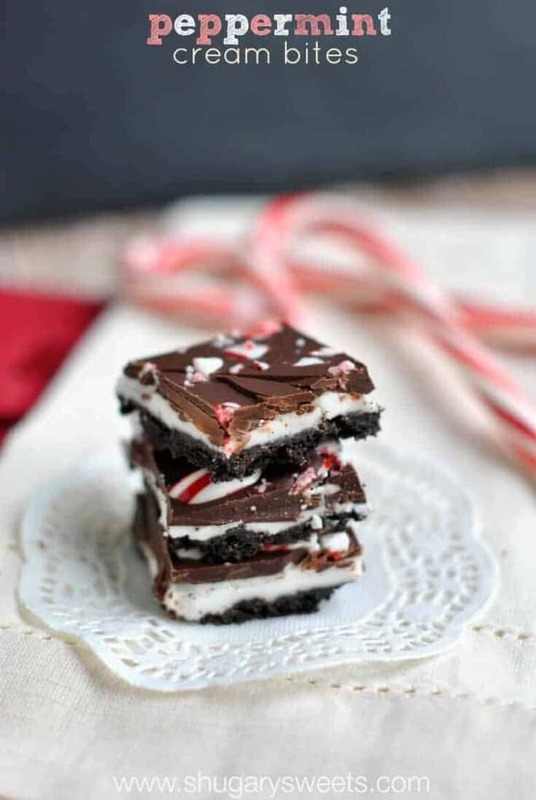 While that cheesecake looks delicious, I’m all about chocolate (not white chocolate) and peppermint! These look amazing, Aimee, and you’ve got my vote! Bummer, I didn’t get a chance to vote. I hope you win. 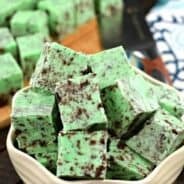 These peppermint bites look absolutely delicious! I am so making these for my Christmas baking. I love that you are on to Christmas goodies already. 🙂 Good Luck Aimee. Let us know what happens k.
These have my name written all over them – talk about the best Christmas treat! I think they look truly amazing! I LOVE THESE. As in, I’d eat them ALL! I think my computer has smell-a-vision, because I feel like I can smell the peppermint in these!! I am drooling over here, and I voted!